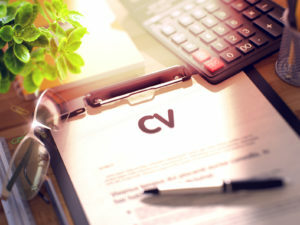 Here at 7 Dimensions Recruitment we receive an incredible amount of CV’s on a daily basis, as I’m sure you can imagine. But what makes some shine and others forgotten? How can you create a winning CV? Essentials: First and foremost, make sure to include the following information. Very basic but very important. Amazingly, we receive numerous CV’s that do not include some of the above and most importantly do not include information on their current workplace or previous employment. It is vital that you include your current role on your CV and just as important to account for all experience. There is no need to go into detail for all roles, especially if they are not applicable to the role for which you are applying, but gaps in your CV are worrying to an employer. Profile picture: For all our applications we also request a full length picture. If you can include it on your CV, then even better. Just make sure it’s a good one and looks relatively professional even if it’s not been taken by an official photographer. Make yourself the focus and look smart. Look like someone who deserves the position. Don’t stand in the food court of your local mall for example and don’t ‘strike a pose’. Layout: Keep the layout clean and simple. Having to trawl through pages and pages of information if off putting to a recruiter or prospective employer. Catch the eye with the essentials and the finer details can be discussed during your interview! If you need help with the layout, Graphic Design Junction offer some great clean and minimal templates. Your highlights: A little section that mentions your key skills and competencies can add that little extra something to your CV, but make sure they are relevant to the position you are applying for! If you feel the need to also include a personal summary of yourself and your general character, make sure to check that it relates to the position you are applying. Don’t, for example, give a little speech about your desire to work on cruise ships if you are applying for a job on land. Correct spelling: Last but not least…Spelling, spelling, spelling! Check your spelling! You don’t have to be a walking dictionary…there’s a spell check built into Microsoft Word, make sure to utilise it! Good luck creating your winning CV!